Mon-Sat until 7 PM, all night on Sunday! Join us to see what we're mixing up cheap! The history of alcohol and medicine has forever been closely entwined. For years, an apothecary cured the ills and troubles of everyday life, some might say that the bartender has historically done the same. 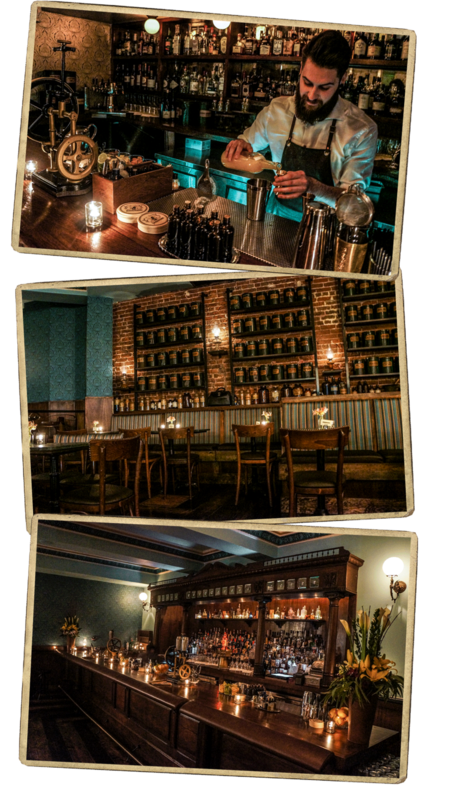 In The Devil's Acre we pay tribute to the Barbary Coast era of the 1850's to the early 1900's. This area was born during the California Gold Rush. However, the San Francisco Barbary Coast was not a place in which to lose your wits. The early decades of the Barbary Coast were blighted by persistent lawlessness, bordellos and gambling. As time developed, the city government wrestled and turned the Barbary Coast into a maturing entertainment scene of dance halls and jazz clubs that would influence American culture for years to come. Drop in to see our "doctors", and to assure seating, click below to make your reservation.